How Many Steps Does it Take To Raise $40k? 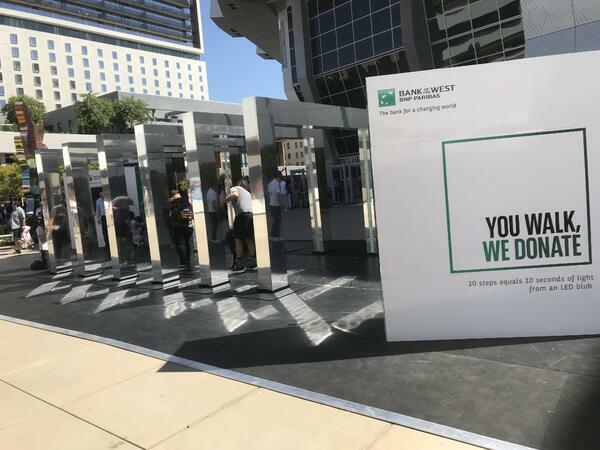 Pavegen and Bank of the West Will Tell you! We’re all obsessed with hitting our daily step count (at least 10,000 a day, right?) but the last few weeks we’ve been counting our steps for another reason. 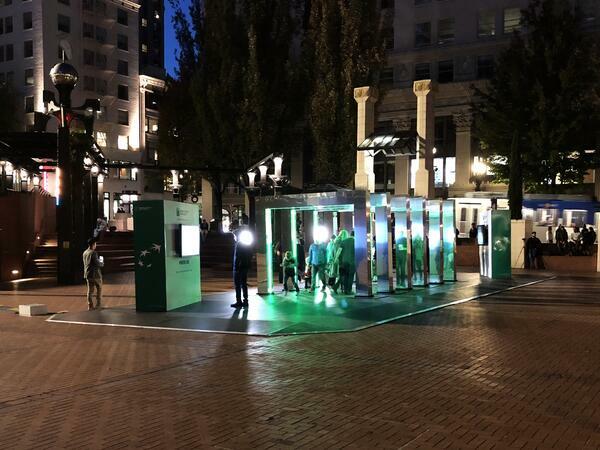 In partnership with Pavegen and Wavemaker, we helped Bank of the West power an interactive experience with Pavegen’s renewable energy tiles on the West Coast. The Bank of the West tour kicked off right at home, outside of Bank of the West’s headquarters in San Francisco. Throughout the coming weeks, the tour made stops at the Golden 1 Center in Sacramento and Pioneer Courthouse Square in Portland before ending the tour back in California at the Dolby Theatre in Los Angeles. 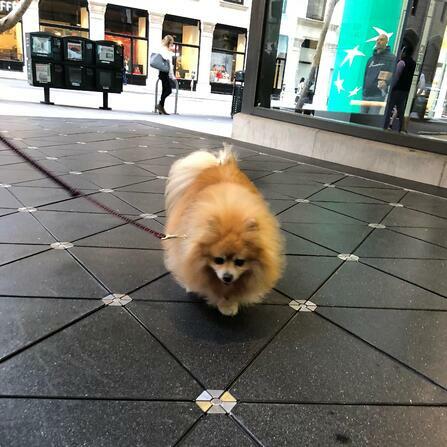 At each stop, a team of brand ambassadors greeted and invited passersby to step across Pavegen-tiled walkway. With each step, kinetic energy was stored and used to power the lights on arches. To paint a picture, 10 steps can power roughly 10 seconds of light from an LED light bulb. 100,000 steps can power a smartphone for 115 hours of talk time. Every city had its own step goal to meet - San Francisco aimed to reach 100,000 steps, Sacramento and Portland aimed to reach 50,000, and Los Angeles had a goal of 150,000 steps. We’re proud to share that every city exceeded their goals (despite the rainy weather the last two stops, Portland and Los Angeles). With every city that reached their goal, Bank of the West vowed to donate $10k. As every city exceeded the goal, Bank of the West donated $40,000 to GRID Alternatives, a company bringing renewable energy across the world, and Ecotrust, which focuses on green initiatives for local communities. Check out Los Angeles breaking their record below! And as a treat for those of you who made it to the end of the blog... Dogs! 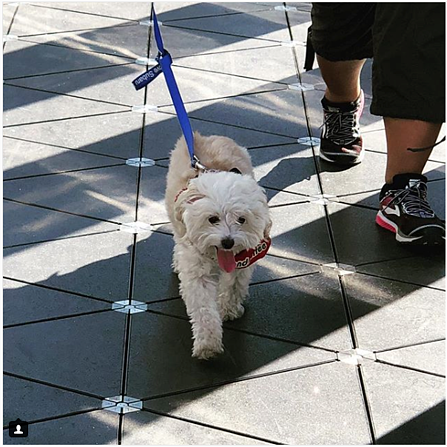 We met Honey in San Francisco and Bella in Portland! We think they had as much fun at these activations as we did.